In June of 2008, I sold Apologia Educational Ministries, Inc. to Davis Carman. Since then, I have become increasingly uncomfortable with the new direction Apologia is taking, as well as the vision of its new owner. As a result, I resigned from Apologia today. I did not make this decision lightly. It involved many, many hours of prayer, deep discussions with Kathleen (my wife), lots of consultation with homeschooling leaders I respect and admire, and several discussions with my Christian role models. In the end, it truly boiled down to the fact that I cannot continue to work for a company that is opposed to many of the Christian values that I hold dear. Please don’t take this as a blanket denunciation of Apologia. Obviously, I still like a lot of their products, including the books that I wrote (surprise, surprise). I just cannot support its new direction or the vision of its new owner. Please note that while I am leaving Apologia for good, I am certainly not leaving the home education community. 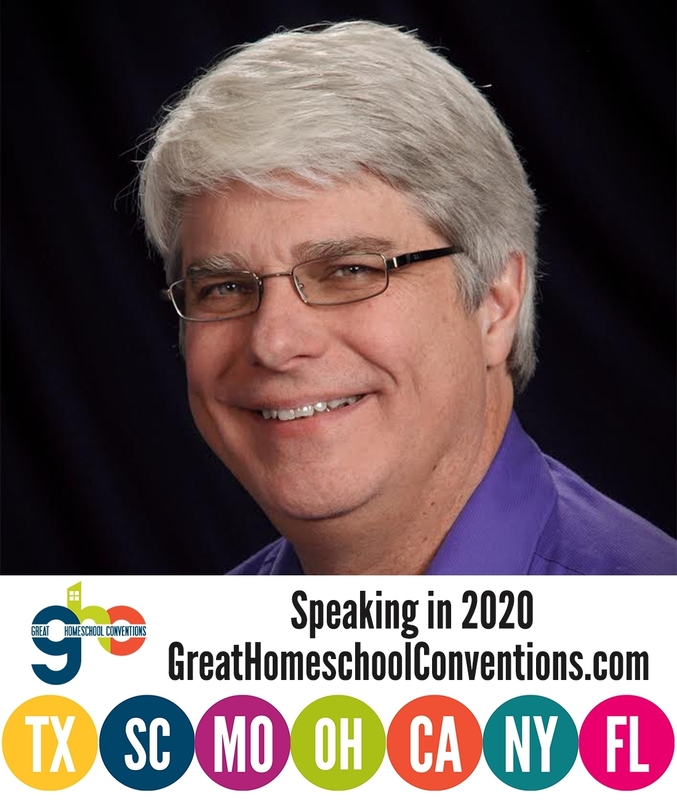 I will continue to speak at conferences and other homeschooling venues, and I will blog about homeschooling from time to time. I will also be working on a product line that will hopefully make the lives of homeschooling parents a bit easier. I hope to launch that product line in three years. 1st of all, I have always used Apologia Science curriculum. It has been a blessing for all of my children, from my oldest, down to my youngest, for years. I have sung your praises and have always had such great respect for you. I thank you from the bottom of my heart, for the impact you’ve had in our home school for so many years! God has used you immensely. 2nd of all, the Carman’s are my dear friends. I have ministered with them for many years. I have watched God open doors and stood by their side and prayed for them during the purchase of your company. I know their hearts. I know their Christian values. I respect them deeply. They are God honoring people. They seek after His truth. They are Godly examples, perfect for what God is doing within Apologia. Now, I have heard you state several times ‘why would I speak against the Carman’s or Apologia, when I benefit from the sales?’ It appears that there was a strong enough irritant within the way the changes have occurred, and the overall differences between you, that you could hardly keep from speaking out. Your statements came across very arrogant and calculated, whether the fact that you felt a need to speak out or not, your comments convey a ‘character assassination’, making all question ‘Christian Values’. I am not judging your heart, I am questioning your judgment. It is obvious that your name is bigger than the Carman’s overall, and could appear to do more damage to them. However, what excites me more than anything is, that God is God, and He is sovereign over all of this. Nothing that we do on this earth can trump Him. The words that you spoke did criticize them but, in spite of it all, God will use it for good. I agree with ‘Involved Home School Dad’. I truly think you should be ashamed of yourself. Finding a way to state you are leaving the company the right way, seems to not have been given as much thought and prayer as needed. If the Carman’s are truly not as ‘dirty’ after all, surely there would have been a more God honoring way to do such a thing, to mention differences without attacking character. I feel you owe the Carman’s and the home school community an apology for how you decided to cut your losses and speak so strongly. I feel you weren’t being lead by His spirit, but rather by your own flesh. Cherylle, thank you for your comment. As I told “Involved Homeschool Dad,” you are certainly misinterpreting my post. Nowhere do I call the Carmans dirty. I definitely did not disparage them. I simply made the honest statement that their values are in conflict with mine. Indeed, I refrained from giving details specifically because I did not want to appear to attack them publicly. Nevertheless, I had to make it clear that I do not support much of what they are producing, because MANY homeschoolers have thought I do. I did it in the most respectful way possible while at the same time being honest. I am sorry you misinterpreted it. I enjoyed meeting and listening to you speak in 2006 at the Midwest Homeschool Convention in Cincinnati. I was especially touched by your friendliness and warmth since we are Jewish homeschoolers:) My husband and I did exhaustive research to find the right science curriculum as he is a MD/PhD (neurophysiology) and I am a RN pursuing my master’s in science to be a pediatric nurse practitioner. We have high standards and high expectations and your science courses are simply the best! In fact, another Jewish homeschooling family told us about your work. While we share different religious views from you that has never been a problem in using your material. Our entire family has grown as we have discussed areas of agreement and disagreement with your work. Stimulating independent critical thinking and a love for learning are two of the main reasons we chose to homeschool and your courses have been an important resource for our family! We just graduated our oldest this summer and he is heading to OSU this fall. We will begin your advanced biology course with our daughter this fall and she is so excited to get started! I just wanted to let you know what a blessing you have been to our family. Thank you for letting us know the direction you are now taking and we look forward to all good things for you and your family. You will be in our prayers. Cassie, thank you so much for your kind words. It means a lot to me to know that our differing theologies did not hinder my books being beneficial for you! I am so sorry to hear of your departure from Apologia. As you know, we are the Australian Distributor for Apologia, and it has been interesting watching the direction that Apologia seems to be taking. All my teens are using your science texts; we have found nothing in the homeschool market that even comes close to the quality and content that is included with your products. Please keep in touch; I am most excited to hear about the new product line you have ‘in the making’. We would be honoured to continue to stock anything you choose to publish. Thanks for your very kind words, L Maher. I truly loved my time in your beautiful country. I hope to return there soon! Dr. Wile, a friend forwarded me your blog just today so this is the first I’ve heard about the sale, etc. I just wanted to say THANK YOU for all you’ve done over the years for home schooling and for science. It is because of you and hearing you speak at a conference years ago, that I had the courage to continue home schooling through high school. I now have a daughter who is in college and a high school senior. We’ve stayed in home schooling due in large part to you, your encouragement to families and your wonderful curriculum! Best wishes for the future! Keely, I don’t know what to say. Your words are so encouraging! The fact that I was able to help you in some small way to provide your children with the ultimate educational experience means the world to me. Dear Dr. Wile, I just want to say how proud our family is of you for standing up for what you believe in. You are a wonderful role model. Thank you for your kind words, Debra. Dr. Wile, I am very sorry to hear you are leaving Apologia. Three out of my six children have used your text books. They have been a blessing and we will continue to use them. I have also heard you speak at the NCHE conference and we hold you in high esteem. At the same time I have served on the NCHE board with Rachael and Davis for 5 years. They have always been a shining example of Christ in all they do and say. And I also hold them in high esteem. I do hope this separating of ways will further Christ’s kingdom. I will be praying for both of you. And I will always have the utmost respect for both you and the Carmen’s. Thanks for your kind words, Wendi. I join you in praying that this separation will only further Christ’s kingdom. Thank you so much for everything that you have given the homeschool community. This is our first year (5th grade) using your books and my son is so excited that we are doing astronomy and zoology 1 at the same time. We are saddened to hear of your leaving Apologia but I am certain that the Lord has plans for you and this was a needed change. It is our hope that we will be able to continue using the wonderful curriculum you have designed throughout the remainder of our schooling years. Please keep us posted to developments of your new project. May the Lord continue to bless you and your family. Thanks for your comment, Ann. While I helped with the elementary series, the credit for those excellent books goes to Jeannie Fulbright. My books start in 7th grade with general science. Our family, too, has been blessed beyond words by your wonderful, God-centered science books, as well as your teaching tapes. In fact, “The ABC’s of Homeschooling” was quite affirming to us in our beginning days. Thank you for having the courage to stand against a rather strong tide in the Christian home school community. We have dear, godly friends on both sides of the issue, and believe with you that the Carmans love the Lord and will seek to serve Him. We know it must grieve your heart, this necessity of a line in the sand, but worldviews are of great importance. May the Lord bless you and your wife during this time of trial, and may He bless the Carmans, also. Thank so you much, S.J.! You are always welcome to come back to New Zealand and speak in our Home-schooling meetings again! My husband and I only met you once, but we both felt your commitment to helping parents to educate their children. Thank you for your words of encouragement and for your quick answers to our questions by e-mail. We look forward to your next visit to New Zealand! Ah Christine, I would LOVE, LOVE, LOVE to come back to New Zealand. I have to say that I have yet to find a more beautiful part of this amazing world! I was a true enthusiast of your science books when my children were in high school, and I can only imagine how helpful, practical, and do-able your new line of homeschool products will be! I used to pray for you and Davis corporately. Now I’ll pray for your continued successes individually. We love your stuff an will follow what you will be doing closely! Some of my kids are grown and some still at home but all have used your science books from middle school on!! They all love science! Check out a math curriculum called, “The Life of Fred”, written very similar to how you wrote your science books. I just got them and I am hoping that all the kids will love math just like they all love science. I beleive it is all in HOW it is written! May God Bless you greatly for stepping out and standing up! I will make this into a Bible lesson tomorrow morning or maybe this afternoon! Vickie, I was introduced to The Life of Fred series while I was in Alaska. It is definitely a unique way to teach math! I recieved an email ,”Changes at Apologia” today and read about your resignation. This part of the email made me curious of what your objections are. Having read your aticles and heard you in person I found you to be quite logical in your thought processes. Also, what happened to all the other comments ? Mary, you need to click on “Older Comments” at the bottom to continue to scroll through the comments. My basic objection to the “What We Believe” series is that the vast majority of Evangelicals do not believe everything that is in the book, but the book presents its ideas as the only ones Christians believe. According to the book, C.S. Lewis, Norman Geisler, and Gleason Archer don’t have Biblical worldviews. Of course, the book doesn’t say that, but if you list everything the book says is a necessary part of a Biblical worldview, those Christian Luminaries do not believe all of what is on the list. Having known the Carman family for almost 10 years, I have NEVER known them to oppose Christian values. Their faith has never changed. They serve the God of the bible and go back to the Greek and Hebrew for clarity and accuracy. They have a passion for the Word of God and He has placed them in a position to teach what they live. So please understand my confusion why a Christian can vehemently oppose their “view”… Knowing that God uses discontent to redirect us toward His will, isn’t if fair to assume that the Carman’s prayers are answered as well? But what I can’t figure out is why you would leave that relationship implying that the Carman’s aren’t good, bible believing, Christ-loving children of God. Sue, I am sorry you misunderstood my post. The Carmans are opposed to MY Christian values, which are obviously quite different from theirs. Nowhere did I even imply that they are not good, Bible-believing children of God. Since they are producing materials that oppose my Christian worldview and indicate that there is no other way for a Christian to believe, I had no choice but to publicly announce my resignation. I understand that you made certain statements in this post because you do not want your name to be associated with “Apologia vision” anymore. However, I think if you had simply said, “I am leaving Apologia, I am now going to be doing something else,” people would have stopped associating you with Apologia in a short time. Then, if they had come across ideas (in Apologia material) that they might be opposed to, they would know this did not come from you. That would have avoided the hurt and confusion you have caused. HSmom, thanks for your comment. I think the confusion has been caused by people reading things into my post, not by the post itself. I could not just say “I am leaving Apologia,” because I have talked to several homeschoolers who thought the new books being put out by Apologia were approved by me. Instead, some were published over my strong objections. That had to be made clear. Thank you for clarifying the reasons you resigned without going into unnecessary detail. You have helped me to understand that the issue has more to do with vision, methods of instilling biblical worldview, and a hesitancy to promote one overarching doctrine over another. I have no less respect for either you or the Carmens. I will be praying that God will continue to show both parties the best way to handle your differences, allowing you all to honor Him first and each other as an outflow. I hope that we, the Body of Christ, do all we can to believe the best of both parties. I am confident that both you and the Carmans share that desire. Shalom. Thank you for your comment Barbara. I wish others would have the decency that you have. Can’t wait to see what your new product will be! Becky, I don’t anticipate them changing my books in any substantive way. After all, why tinker with what already words so well? However, you will know if they do, because they will have to take my name off the books. Thus, as long as the books have my name on them, they are essentially the same as when I left Apologia. I am a math and science teacher at a classical Christian school and we value your books. Your books are great supplementary and support for me. Yet, there are aspects within your books that I may not 100% agree with and am inclined to present both sides of the argument. I will be praying for you and your family. Division is never pleasant. It however, is hard to understand how your core doctrines are that radically opposed to that of Mr. Carmen. Was there no room for “agree to disagree”? Since in your post to Sue’s comment, it would appear, that you believe them to be Christian brothers. Perhaps I might be able to empathize a little as oftentimes, as a math/science teacher, I feel relegated to my little world of math/science and great worldview topics are best left to those with Seminary training. Yet, we as Christians all have in our own ways a distinct Christian worldview, which of course is constantly growing the more we learn of His majesty. I guess we who are very intimate with your books are feeling a little bit unsettled. I cannot imagine how you are feeling. Speaking for that community, I am sure we know this must’ve been a tough decision, and right now that pit in the stomach feeling must be painful. May the Lord bless your new adventures and may the Lord use this to further His glory. Travis, thank you so much for your kind comment. You are right. This has been a painful time. I usually have no problem with agreeing to disagree, but in this case, people thought that I was supporting the things with which I strongly disagreed. Unfortunately, that wasn’t fair to me or to the people who were purchasing under that assumption. Thus, this was the best thing to do. Dr. Jay, I’m thankful that I’ve read your post and the thread of comments. It seems abundantly clear to me that this is a necessary change, as painful as it is. I will continue to pray for your peace and blessing as you move through the next season of your ministry (your materials are a ministry to our family). We look forward to your science materials this year with our junior high student. I will continue to follow along as you develop the new line of materials. I pray you’ll be blessed and fruitful in that process. Thank you for clarifying the situation from your position. I respect that. Jennifer, thank you so much. You are right. It is a necessary but painful change. Thanks for your prayers! The line in the header comes from the fact that I used to make that mistake when I spoke. I would say things like, “As a Christian scientist, I can…” My wife and daughter kept telling me that I am not a Christian scientist, but a scientist who is a Christian. I finally got it through my head, but it took a while! Oh. I forgot to mention that I think I “get” the Christian Scientist comment up there in the header. I was one…once…a long, long time ago in a galaxy far, far away. 😉 Relationship is far better. Thanks for clarify the concerns you have about the new series. Our family has a personal history with the damage that can be wrought with the presentation of Calvinism as the “right way for true Christians to believe”. The same goes for any man-made understanding/interpretation of Scripture. I used your General Sci and Physical Sci texts with both of my older kids for middle school–they are now doing fine in ps science classes because of the solid science they learned. I just wanted to thank you so very much for writing Christian-based curriculum. I have done most of your “Exploring Creation with..” series and have really enjoyed them. I never considered science to be one of my favorite subjects, but when I began using your books that all changed. The format of the books meets my learning needs and allows me to be a successful, independent student. Even when I am reading something difficult in one of your books, I am able to understand it because of the way you clearly explain things. Currently, I am going through “The Human Body: Fearfully and Wonderfully Made”. Because I have grown to love science thanks to your books, I am seriously considering a career in a science related field. Thank you so much, you have definitely impacted my life and I wish you well in this next season of your life. Emily, thank you so much for your kind comment. I am thrilled that you have grown to love science with the help of my books! My children were schooled at home, and the oldest ones started using your science curriculum in middle school. We came to trust the curriculum for its truth in presentation of facts from a biblical perspective without any bias or slant toward one particular perspective or another. This forced my children, all 6 of them, to use their intellect and not let anyone decide for them what their “world view” would be. They decided based upon research, facts, and reasoning, as was directed by the Holy Scriptures themselves in Romans 12:2, “Do not be conformed to this world, but be transformed by the renewal of your mind, that by testing you may discern what is the will of God, what is good and acceptable and perfect.” To us and our family, this was a God send, literally. And I am sure that the new generation, when old enough, will also benefit from your decisions. Dr. Wile, I challenge you to stand strong in your convictions as it is ultimately the children who will pay the price if you don’t. I challenge your family to support you and to help surround you with true friends and seekers of the true knowledge of our Lord. I know that the decisions you made were based on your highest truth. Your explanation to your friends and patrons further shows your dedication to true knowledge of the Lord. Colossians 2:8 states, “See to it that no one takes you captive by philosophy and empty deceit, according to human tradition, according to the elemental spirits of the world, and not according to Christ.” I believe you are taking God at His word. I challenge you to committing yourself to continue to help the thousands of children your curriculum affects. In a world that is so against the Christian education, your curriculum has become a standard for excellence. Annette, thank you so much for your kind, heartfelt, and encouraging comment. I am glad that my books helped your students think for themselves and develop their own worldview. That was certainly my goal. I appreciate your prayer so much! Why Sacrifice? After All, She’s Just Our Daughter! With Enough Blind Faith, You Can Believe Anything!